With two locations – Newtown (Roseau) on Victoria Street and in Portsmouth – the Dominica Marine Center is a very useful duty-free chandlery chain that has a good selection of ‘high usage’ items. The business is also the agent for Budget Marine and can efficiently ship in items from the head store in St. Maarten – allowing fast access to a full range of chandlery inventory at duty-free prices. Dominica Marine Center is also the agent for Doyle Sails, Yanmar, Lugger / Northern Lights and Cummins power units, Mercury and Suzuki Outboards; and has a good range of engine oils available, Trojan and 8D batteries, Interlux and Micron antifouling plus a good selection of Teleflex throttle shift and steering cables for tenders. For all FedEx, DHL and courier requirements in the Roseau or Portsmouth regions, contact Hubert Winston. Dominica Marine Centre can arrange for alongside truck bunkering at the Roseau Town Dock. Low-sulphur fuel is delivered duty free. Delivery rates are up to 250 litres a minute and the fuel prices are said to be very competitive. 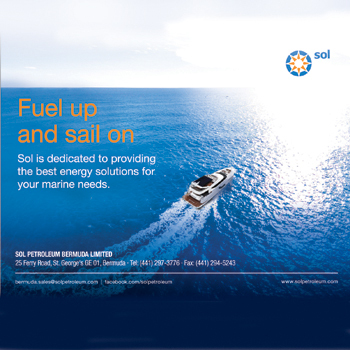 Credit cards are accepted for fuel purchases; call Hubert Winston in advance to book in for bunkering requirements. Dominica Marine Center offers reliable mechanical and electrical engineering services for marine diesel engines, generators and outboard motors. They are certified agents and service centre for Northern Lights / Lugger, Cummins, Yanmar, Mercury, Suzuki and ZF transmissions. As the satellite agent for Doyle Sails, the Marine Center is ready to help out in any way it can.